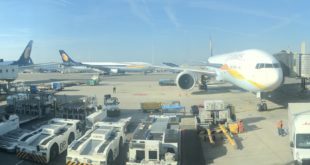 Jet Airways has expanded its code share with Delta Air Lines and Virgin Atlantic to offer its passengers connections via London Heathrow to nine US destinations operated by Virgin Atlantic. These include Atlanta, Boston, Newark, Washington Dulles, New York JFK, Los Angeles, Miami, San Francisco. Seattle will be the ninth city when Virgin Atlantic commences services on May 1. Frequent fliers of both airlines can accrue and redeem their miles across each other’s entire network. This agreement builds on the existing code-share agreement between Jet and Delta offering connections to eighteen US destinations via London Heathrow. Atlanta, Boston, Detroit, New York JFK, Minneapolis, Portland Oregon, Philadelphia, Salt Lake City, Austin, Charlotte, Columbus, Denver, Las Vegas, Orlando, Phoenix, San Diego, St. Louis and Tampa. The additional cities being offered by the new Virgin Atlantic tie-up are indicated in bold. Jet and Virgin have an existing agreement since 2009 which enables Virgin Atlantic passengers to travel on Jet Airways Mumbai London Heathrow flights. Virgin operates its own New Delhi London service using its latest Boeing 787-9 Dreamliner. In 2015 the code-share agreement was expanded to offer Virgin passengers connectivity to five Indian cities on Jet Airways via New Delhi or Mumbai. 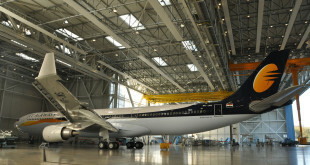 Jet Airways also has an existing code-share agreement with both Delta and KLM Royal Dutch Airlines to US and Europe connectivity via Amsterdam, as well as with Air France via Paris Charles De Gaulle airports.